Puppy Shots and Dog Vaccinations: Needed or Not? Don't accept every shot your vet recommends. Many vets are not following the latest guidelines. 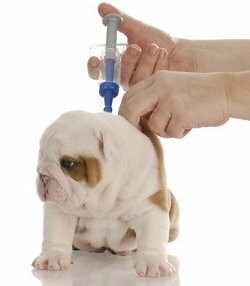 Do you have a new puppy, and it's time to take him to the vet for his shots? Or do you have an adult dog and it's time for yearly booster shots? I'm glad you're reading this page. The right vaccinations will help protect your dog's health – but unnecessary vaccinations can damage your dog's health. Only a few years ago, it was considered mandatory to bring your dog to the vet every year for his booster shots. We've also been told that it's a good idea to get all of Jake's puppy shots rolled into a 7-in-one mega-injection.... then repeat it after a few weeks.... then again after another few weeks. After that, we were told he'd need yearly booster to keep him "current." We knew it must be true because the vets told us so. The vets got their information from the vaccine manufacturers. The fact that vets and vaccine manufacturers have a financial incentive for urging us to get lots of shots for our dogs didn't seem to occur to us. But times have changed. We consumers have our eyes open now. We know that what pharmaceutical companies, doctors, dog food companies and, yes, vets say is often biased by what's in it for them. Let's see what other experts – leading vets and researchers – have to say about vaccinations. "Would you rebel if your doctor told you to get measles, mumps, rubella, diphtheria, pertussis, and hepatitis shots every year of your life until you died, instead of only a few doses as a child?" People don't need yearly revaccinations for core diseases. And veterinary immunological researchers tell us: Neither do dogs and cats. "A practice that was started many years ago that lacks scientific validity or verification is annual revaccinations. Almost without exception there is no immunologic requirement for annual revaccination. Immunity to viruses persists for years or for the life of the animal. Only the immune response to toxins requires boosters (for example, tetanus toxin booster, in humans, is recommended once every 7-10 years) and no toxin vaccines are currently used for dogs and cats." That ground-breaking article has revolutionized our guidelines for vaccinating our pets. Let's look at each sentence to be sure we understand. Summing that up....NO annual vaccinations are needed for dogs or cats. A vaccine is a "diluted disease", such as distemper or parvovirus. Each "disease" is injected into your dog to show his immune system what that disease looks like. His immune system then makes antibodies against it. Antibodies are the warriors that fight disease. The immune system contains memory cells. Once those memory cells have seen a particular disease (via one successful vaccination), the memory cells will remind the immune system to produce antibodies whenever that disease is encountered in real life. That same article by Drs. Schultz and Phillips goes on to say: "Furthermore, revaccination fails to stimulate a secondary response as a result of interference by existing antibodies." In plain English.... booster shots don't work if your dog's system already has antibodies from previous vaccinations. The existing antibodies neutralize the booster shot. So repeating vaccinations doesn't "boost" your dog's immunity. Indeed, re-vaccinating an already-immune dog offers no benefit, because the previous immunity inactivates the vaccine. You might be thinking, "Well, even if yearly shots aren't necessary, they don't do any harm, right?" "The first thing that must change is the myth that vaccines are harmless. Veterinarians and animal guardians have to realise that they are not protecting animals from disease by annual vaccinations, but in fact are destroying the health and immune systems of these same animals they love and care for." "Routine vaccinations are probably the worst thing that we do for our animals. Veterinary immunologists tell us that vaccines need only be given once or twice in an animal's life. First, there is no need for annual vaccinations and, second, they cause chronic disease." "Over the years it has become increasingly clear that some vaccines are ineffectual or unnecessary, and some vaccines are dangerous, even causing symptoms of the disease they are supposed to prevent." You might breathe a sigh of relief that your dog has breezed through his vaccinations with no immediate reactions. But in reality, you have no idea what is going inside him. The real problems may surface next month or next year. "Vaccinosis is the reaction from common innoculations. Reactions might take months or years to show up." "Vaccinations represent a major assault on the immune system [which] causes irregularities and abnormalities in the immune system, which then manifests as chronic diseases. What we are now seeing are generations of over-vaccinated animals." Well, not all of them are. Most vets who practice holistic, alternative, or integrated medicine are not vaccinating every year. Some vets who practice conventional medicine have taken a step in the right direction by vaccinating every 3 years instead of every year. 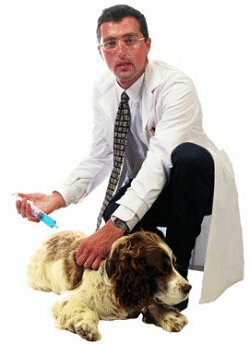 But the majority of conventional veterinarians still insist that your dog come in every year for shots. Why do they do this? Drs. Schultz and Phillips write: "The practice of annual vaccination in our opinion should be considered of questionable efficacy unless it is used as a mechanism to provide an annual physical examination." 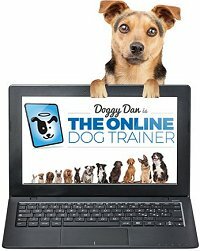 Remember that veterinarians are running a business that needs to make money. Annual shots bring in income on a regular basis, and profit margins from vaccines are high. Plus you pay for the office visit, and you might pick up heartworm and flea preventative while you're there, and maybe a bag of kibble. Now don't get me wrong – regular physical exams are a good thing, especially for older dogs. The vet can listen to their heart and do bloodwork to monitor their kidneys and liver. If you live where heartworm is prevalent, your dog needs a heartworm blood test every year. Once you find a good vet, you do need to support him, else how can he stay in business? But vets should stop using the false pretext that "yearly shots are necessary" just to lure us into their offices. And we shouldn't compromise our dog's health by agreeing to vaccines that are unnecessary and harmful. "There is no scientific data to support a recommendation for annual administration of vaccines. Furthermore, repeated administration of vaccines may be associated with a higher risk of anaphylaxis and autoimmune diseases." "There is little scientific documentation that backs up label claims for annual administration of most vaccines. In the past, it was believed that annual vaccination would not hurt and would probably help most animals. However concerns about side effects have begun to change this attitude. The client is paying for something with no effect or with the potential for an adverse reaction." "Another trend of the past few years," says Dr. Hamilton, "is coercion of guardians into procedures such as vaccination. This coercion may be blatant, such as refusal to provide services, even emergency care, unless the animal is 'current' on vaccines. Tactics such as this can create feelings of guilt in the guardian, leading to a fear-based decision to vaccinate an animal that is not at risk. This is unethical, if not outright malpractice, and refusal is an acceptable response." Those of you with a new puppy might be thinking, "OK, I understand that extra shots aren't needed and can undermine long term health. But my new puppy needs a full battery of shots so he'll be immune in the first place, right? You're not going to tell me to skip vaccinations altogether, are you?" No, you shouldn't skip all puppy shots! But too many shots are just as bad for a puppy as they are for an adult dog. And "too many" doesn't just mean how many times the vet sticks the needle into your little bundle of joy. "Too many" can also mean one shot that contains several diseases – 5 or 6 or 7, such as distemper, leptospirosis, parvovirus, parainfluenza and more.... all jammed into one syringe.... to be repeated in two weeks.... and then again two weeks after that. Giving a puppy too many shots, or too many diseases in one shot, can make him sick. Sometimes he will have a bad reaction immediately, or within a few days. Or sometimes he will seem fine, but in reality he may not be. Too many shots can overwhelm his immune system and begin a long-term disease process that you won't see until months or years later. Deciding which puppy shots to give, which to skip, when they should be given, and if any of them should be repeated should not be your vet's choice. You are the one who should be deciding, because you, more than anyone else, have little Jake's best interests at heart. First, consider finding a veterinarian who is practicing holistic or integrated medicine. Most of these vets will not over-vaccinate your dog, and they'll help with other health-promoting changes in how you care for your dog. If you do need to work with a conventional vet who is recommending annual boosters for adult dogs, and/or a full regimen of shots for puppies, you need to learn more about vaccinations so you can speak up clearly and tell the vet what you want and don't want. My dog care book includes the specific details you need to know so you can make good decisions about vaccinations.... plus the healthiest meals to feed.... healing or improving current health issues.... avoiding known causes of diseases and a shortened lifespan.... these are among the things I write about in 11 Things You Must Do Right To Keep Your Dog Healthy and Happy. It's very readable and easy to understand. You can even download the book and start reading right now.